Standard - $20.99 Only 3 left! To have the best haunted house on the block you've got to start with the creepiest atmosphere possible right from the get-go. How? 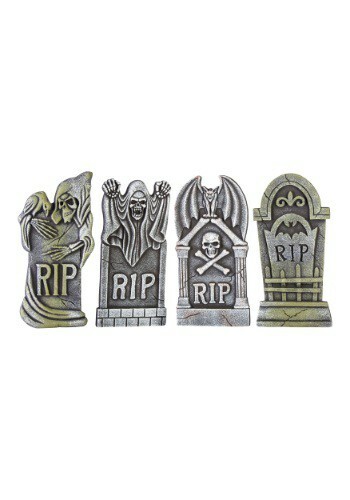 Well, what you need to do is place this Boneyard Set of 4 Tombstones out in your yard. In doing so, you'll make it so that before any guests get to witness the horrors you have in store for them within your home, they need to prove they have the cajones to walk through your front lawn first. They'll arrive one by one and be forced to walk through a graveyard alone in the dark. Talk about nerve wracking! 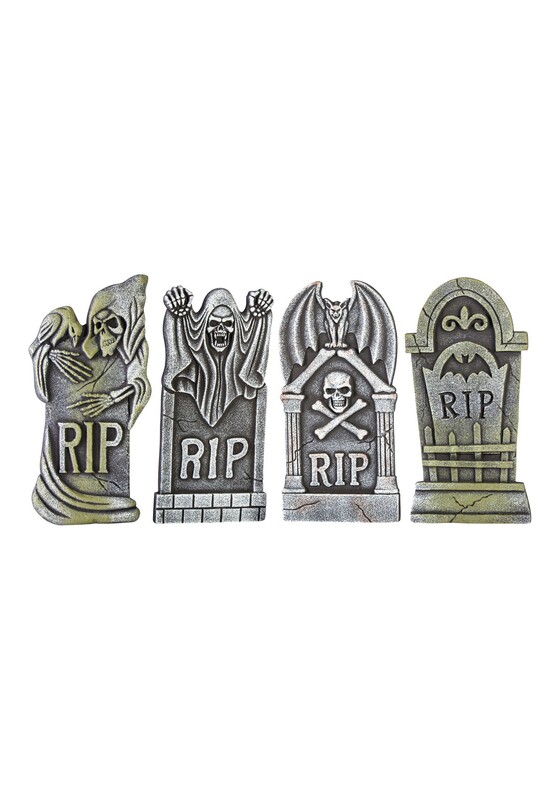 These tombstones are designed to hold a spooky aged look with moss and cracks covering them in various fashions. That way when your friends see them, they'll begin to wonder if they were there the last time they visited. They also maybe concerned that you've picked up some new hobbies that are a bit darker than stamp collecting or a vegetable garden.